Following her outstanding performance last year, Morissette Amon was invited back to the Asia Song Festival in Busan, South Korea. 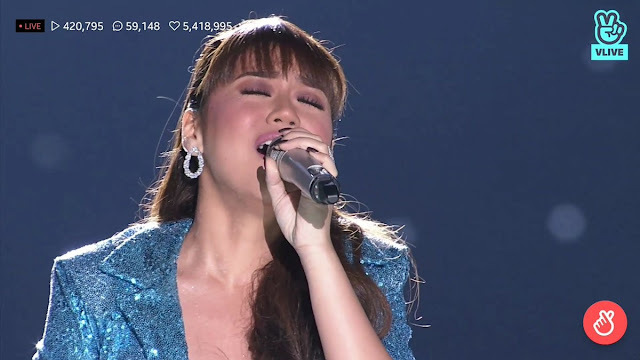 This time, the Asia's Phoenix took the stage with one of her hit songs 'Throwback' and a soulful rendition of Lee Young-Hyeon's 'Resignation,' which she initially sang in English and later mixed with its original Korean version. 'I'm so happy to be back here. Thank you so much for having me again.' she said. The two-day festival, now in its 15th edition with the theme 'Asia Is One', aims to spread the Asian music culture. Other performers in the event were Asia's top music artists like Wanna One, Red Velvet, Seventeen, Fromis 9, Bewhy, Momoland, MXM, Jeong Se Woon, YDPP, The Boyz, NU’EST W, and C.T.O.